HP does Windows laptops, and HP does Chrome OS laptops, and now HP does Android laptops. Today HP unveiled the SlateBook, a 14-inch Android-powered laptop. If that sounds familiar, well, it should. It was just over a month ago that such an HP Android laptop was leaked, and today we're finally getting some better details. The SlateBook isn't the first Android laptop we've seen, though it is by far the largest we've seen entering production. Inside is an NVIDIA Tegra 4 processor, 64GB of storage, 2GB RAM, and a battery good for 9 hours of use. The screen's a 1080p touch-screen, though there's also a keyboard and trackpad below that for more traditional lap-bound use. At 3.7 pounds the SlateBook slots right around where we would expect a laptop of this size and specifications (no hard drive, no disc drive). The SlateBook is due out in August, priced starting at $399. It is quite thin for a laptop, measuring in at 16mm. That's a thinner than the traditional Apple MacBook Air, but thicker than the new Microsoft Surface Pro 3 — though both those options cost at least twice as much. 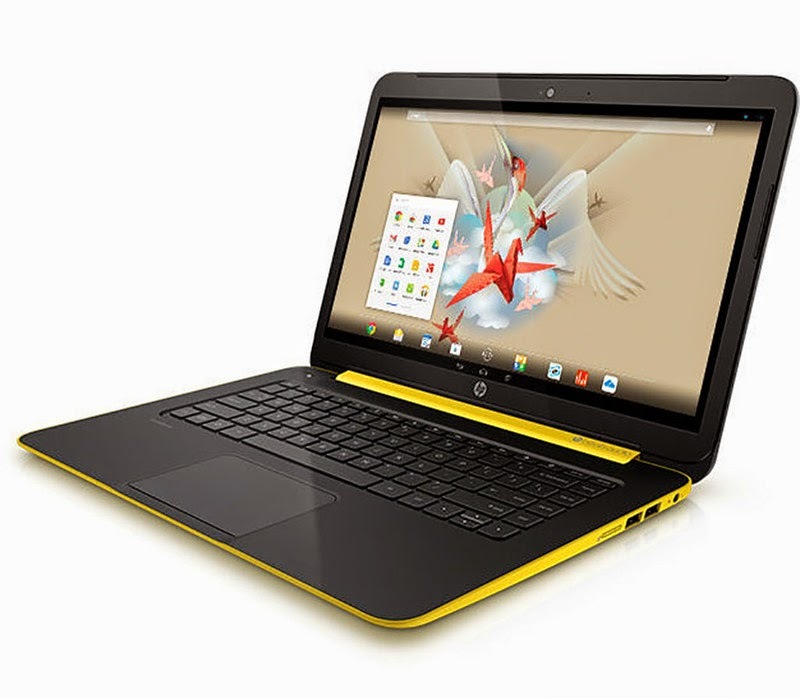 Additionally, HP has updated the HP Chromebook 11 with a larger battery and lowered price. Now starting at $249, the Chromebook 11 can now run for up to six hours on a charge. It also comes in white or turquoise, if those happen to be the colors of your choice.